When I was a kid I used to hate spaghetti but I loved these easy meatballs my Dad made to go on top. I would push the spaghetti aside and devour the meatballs. My Dad’s recipe disappeared a long time ago, so I found myself in search of another easy meatball recipe. I had an idea. 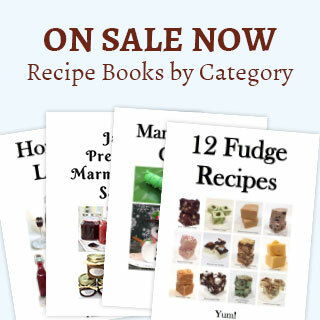 Remember the meatloaf recipe I recently posted that had come from Lodge Cookware Cook Book called “A Skillet Full of Traditional Southern Lodge Cast Iron Recipes & Memories“? I decided to see if I could modify that recipe to make some great meatballs. After some fiddling and a few changes I found it worked very well, and it’s, you guessed it, super-easy and no fail. Preheat the oven to 400°F. Place Silpat in a sheet pan and set aside Break the ground beef and sausage into small pieces and toss. Mix all ingredients together until all have been equally distributed. Do not over mix. It’s ok if it’s a bit rustic in texture. Shape into medium size meatballs, about 2 inches in size, and place on the Silpat-lined sheet pan. Bake for 16 to 20 minutes. Serve immediately or freeze for later use. Notes: Always use good saltine crackers. Do not even consider substituting the saltine crackers with breadcrumbs or Jimmy Dean/Mild Sausage with any another type of sausage. The results will not be nearly as good. 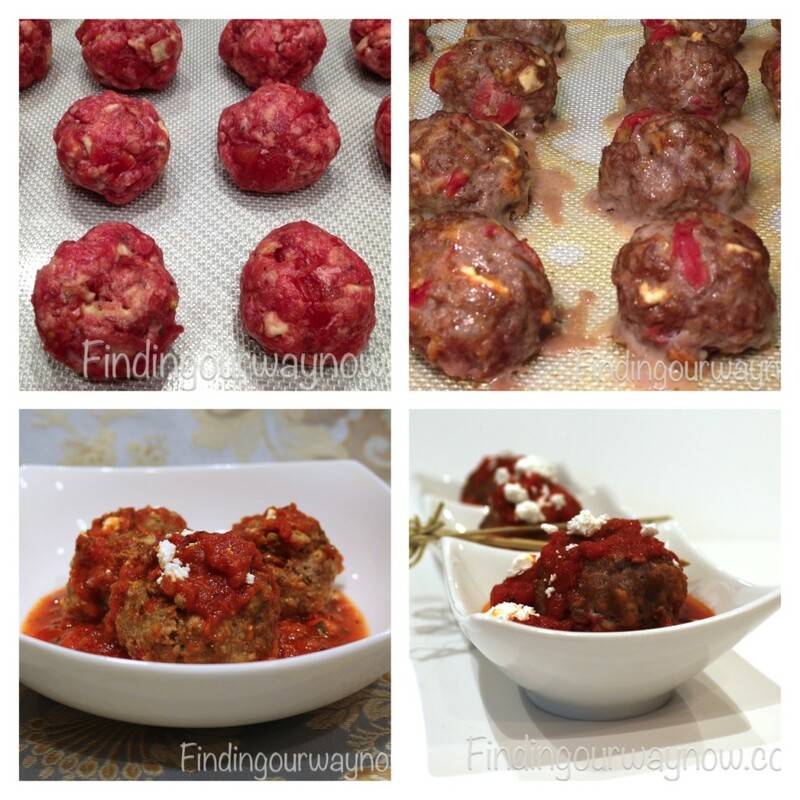 I love the fact that I can make these easy meatballs ahead of time and freeze them for later use. 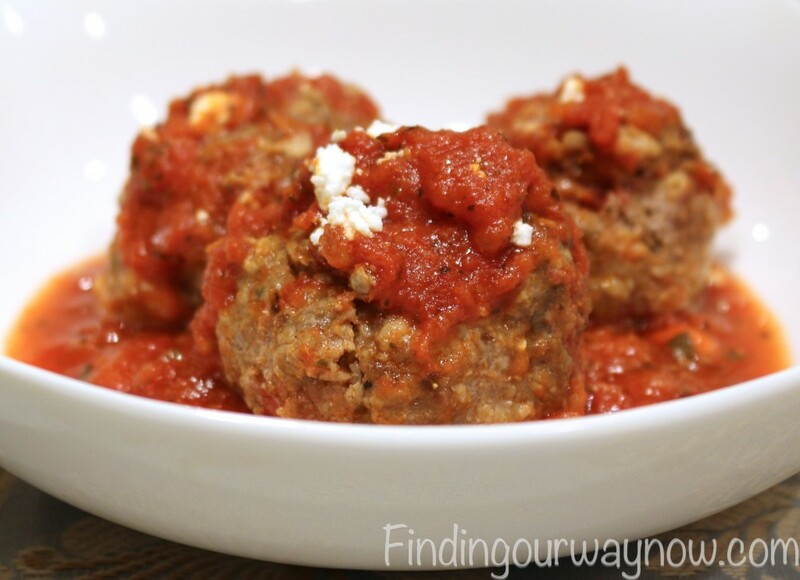 In fact, I would recommend that you make a double batch because these easy meatballs are that good. If you enjoyed this Easy Meatball recipe, check out the Warm Marinated Feta Cheese with Olives, Crunchy Garbanzo Bean Appetizer, and these fun Crunchy Garbanzo Beans. Enjoy.